Azure Healthcare Hub is a solution for electronic medical records management and patient engagement, offering a better way to enable doctors and other medical services provider’s staff to interact with patients in a secure and friendly environment. 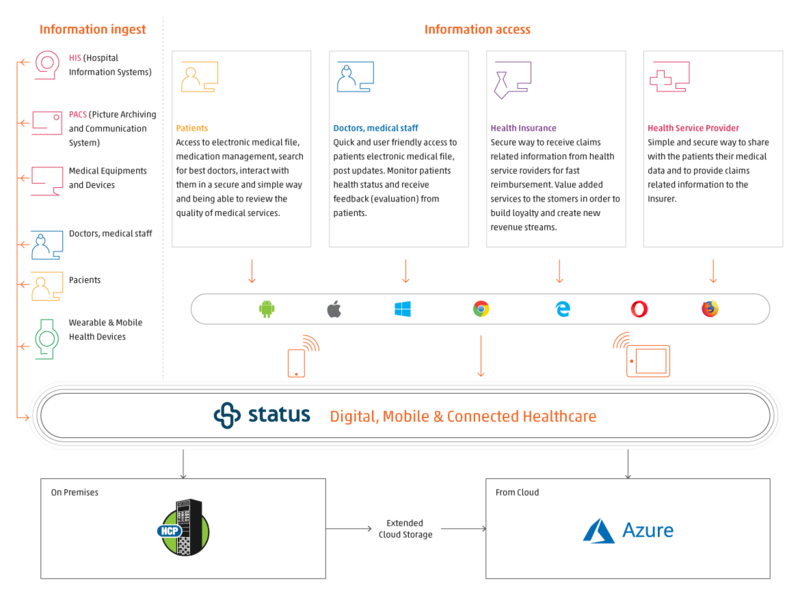 Azure Healthcare Hub (powered by STATUS) is a modern healthcare solution for electronic medical records management designed to take the interaction between patient and healthcare industry (doctors, healthcare providers and insurance companies) to the next level. Zero-distance patient engagement with data securely available anytime, anywhere. No capital investment - data is securely stored on Microsoft Azure in multiple data centers around the world. Personalized healthcare services offered through an open, flexible, enterprise-grade cloud computing platform, able to quickly scale to thousands of users.